Great credit is a wonderful thing to have. Here are the Dos and Don’ts of credit advice. If healthy credit is something that you’re serious about, you’ve probably been searching for information or talking to friends and family. It’s important to pay attention to where you’re getting your information from. People tend to gather information from the internet, friends, colleagues, guides, magazines, and social media, just to name a few. Just ask yourself, is the source credible? It’s always useful to get a professional opinion and to ask people you know will know the answers. 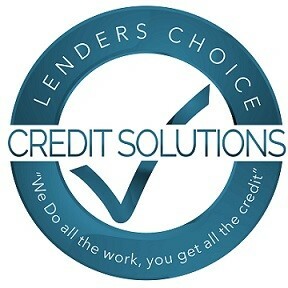 Believe it or not, there are many credit repair companies out there that offer free consultations. You can call them day or night and ask them any question you can think of, and they’ll gladly answer those questions at no cost. If you’re questioning some advice you got from a friend or family member or just want a second opinion, don’t be afraid to call a credit repair company. In most cases, credit repair companies will do a consultation 100% free, and you can get all the information that you need. That being said, let me do what I can to clear up some of the many pieces of common misinformation that I hear from clients, friends, and family all the time. The first thing you need to do is monitor your credit. You can subscribe to a service such as Credit Karma for free. They will send you updates of your Experian and Transunion reports every month so you can see what is going on with your report. The first thing that you should understand is that the credit bureaus are the ones who set up online disputing. Just to clarify, the credit bureaus don’t want you disputing negative items and getting them removed from your credit report. Although they would like to prevent you from disputing items at all, they recognize that consumers are going to find a way to do it anyway. So, their solution is to attempt to control how you go about disputing information and protect themselves under the pretense of helping you. Stepping away from online disputes for a moment, let me explain some of what credit repair companies do. One of the biggest ways that credit repair companies are able to help you get negative items removed from a credit report is by leveraging certain laws that benefit the consumer. 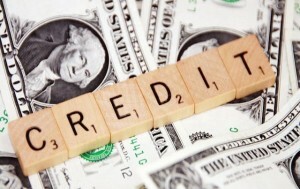 The Fair Credit Reporting Act is one of those laws. 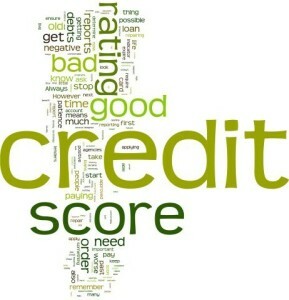 Basically, if you find inaccurate, invalid, unverifiable, or outdated information on a credit report, you can tell them either to remove the account or you have the right to sue since the Fair Credit Reporting Act requires them to have all of your information and be reporting it accurately in order to include it on your report. When you initiate an online dispute, on the other hand, you’re immediately waiving your right to arbitration as part of the terms and conditions of opening a dispute through the credit bureaus’ services. So, you’ve immediately taken all your leverage off the table right out of the gate. If you open an online dispute, without the threat of litigation, the credit bureaus have no incentive whatsoever to help you fix any inaccuracies on your credit report. Having that potential threat of filing a lawsuit if they don’t follow the law is the main leverage that you have, and by engaging in online disputes, you’re essentially giving that away. Another reason it’s good to avoid online disputes is that you’re not able to upload or input a lot of supporting documentation in them. You may have proof (and in a lot of cases simply printing off a credit report and looking at the discrepancies is proof enough) that there are inaccuracies on your credit report. But if you can’t share all that information with the credit bureaus, and all you can do is put in very basic information about what you’re trying to dispute, you’re not going to get effective results. But if you simply dispute by mail, away from the system wherein you waive your right to arbitration, you can include all of the supporting documentation that you have showing an account has been reported incorrectly, is inaccurate, is outdated, or is unverifiable. So online disputes, regardless of whether you’re going to use a credit repair company or not, are not the way to go. Sending dispute letters through mail is the effective, smart way to get negative items removed from your credit report. No matter what they say, don’t provide collection agencies with any information other than your current address. Collection agencies will notoriously try to fish information from consumers to build a complete file. This is because when collection agencies purchase your debt from the original creditor, any additional information is an extra purchase they need to spend money on – creditors don’t include all of the requisite information along with your sold debt. Since most people these agencies try to collect from don’t know that the agencies need certain information to legally collect the debt, they figure they don’t need to spend the extra money on acquiring every piece of documentation that accompanies your file. As a result, the vast majority of collection agencies do not actually have all of the information that is needed to legitimately pursue and report a debt. So, when you’re talking to a collection company, keep in mind this is not their first rodeo. If they don’t have all of the documentation that they’re supposed to have to be able to report or collect a debt, a lot of times they’re able to talk consumers into giving them that information, allowing them to collect the debt anyway. But if you don’t share any information with them (as is your legal right), they legally can’t collect or report the debt. If they don’t have all of the information, that’s their problem. This imbalance gives you leverage to get the account removed from your credit report and to stop them from collecting it. They are supposed to get all of that information from the original creditor – the original person you owed the money to – not from you. They don’t have the right by law to ask you for any documentation. You don’t have to provide that to them. So be very careful about giving them more information than you should. Don’t pay off all collections or delinquent accounts without first auditing and verifying that all dates and amounts owed are accurate. You could be paying off debt that is legitimately uncollectable or paying inflated or invalid fees in interest. Validating the debt could ensure you must pay. If you must pay, make sure you’re only paying what you truly owe and nothing more. Also realize that paying anything on an old collection can reset the statute of limitations and the date of last activity. This means that the item can remain on your report for longer and lower your score because it’s updated (hence more recent) derogatory information. We spoke about this a little earlier, but basically, if you have a third-party collection company that’s trying to collect money from you, please double-check the debt first. Make sure that they legally have the right to collect it from you before making a payment that could seriously affect your credit score. A lot of time these third-party companies pass around your information because you’re just a lead to them – you’re just potential money that they can try to collect. They might not have any of the documentation that they’re required to have by law to be reporting the debt in the first place or trying to collect it. You have the right to find out whether this company has the legal right to collect the debt from you. If you don’t validate the debt, you’re putting yourself in a position of being taken advantage of by a company because they can simply call you up, tell you that you owe money, and threaten you until you decide to pay them. But keep in mind that you have rights under the Fair Debt Collection Practices Act. A big, important bit of advice is do not ignore a summons. If you get served on a collection – if a company that you owe money to is trying to sue you – do not ignore that. Do no throw that away. Do not skip the court date. Most of the time, these collection companies issue a summons because they know that you’re not going to show up for court. And when you don’t show up for court, they automatically win. It’s called a Default Judgment. They then have the right to take further action to collect the money from you. They can take your income tax, or they can garnish your wages if you’re in a wage-garnishment state. If they sue you, they have a lot more opportunity to collect the money from you. Go to court and in a lot of cases, the company doesn’t have all the documentation they’re supposed to have, and you’ll actually win. If you don’t want to go to court, call the company who is suing you and work out a deal. Often, they’ll settle for far less than what you actually owe, and you can work out a payment plan. Let them know that financially you’re not in a position to pay that account off in full. If you could, you already would have, but you want to work out a deal because you don’t want to go to court. They will absolutely do that. The bottom line is that the last thing you want to do is simply ignore it. That’s when you will be in a position where they can collect the money from you without you being able to do much about it. Pay all bills on time. The only positive identifier on a credit report is “pays as agreed.” There is no identifier that allows for “pays when convenient,” “pays when available,” or “pays when I can afford it.” Your report is a summary of your history and a predictor of your future willingness and ability to pay. You either have a history of following through with the agreements you accepted, or you don’t. There are two kinds of people with credit issues: circumstances-and-situations and habits-and-behaviors. Don’t be a person who consistently has the habits and the behavior of missing payments. Make sure, if possible, to pay your bills on time. Do check your credit report. Check your credit report for inaccuracies or errors at least 3 times per year if not every single month. If you aren’t paying attention, you could be victimized. Just because you were approved when you applied doesn’t mean you’re getting the best rates or terms. Validate. Do not be a victim of overcharging. Many collection agencies oftentimes will inflate actual and legitimate amounts owed. Many collection agencies may not be licensed to collect in your state. If they’re not bonded in your state, many times they can’t collect the debt. Don’t accept them at their word – they’re not here to protect you. Do be organized and keep every document. Your best offense or defense in a court of law is keeping all documents sent to and received from collection agencies. Cases are won and lost on evidence, which, in the case of a Fair Debt Collection Practices Act violation, boils down to documentation. Winning is not a matter of a well-delivered argument to persuade a judge or jury that you are right, and a collection agency is wrong. It comes down only to the evidence. Was the Fair Debt Collection Practices Act violated or not? And this is established by letters sent to or by you and documented phone calls. So simply set up a separate folder for each collection that you are disputing or are involved in and put all related documents in that folder. If you want to buy a home, the Richard Woodward Mortgage Team will help you get there. Regardless of your current credit status, we are here to help you. For a free initial mortgage approval consultation, complete our safe and secure online application or call now at (214) 945-1066. We love helping you build wealth through home ownership. 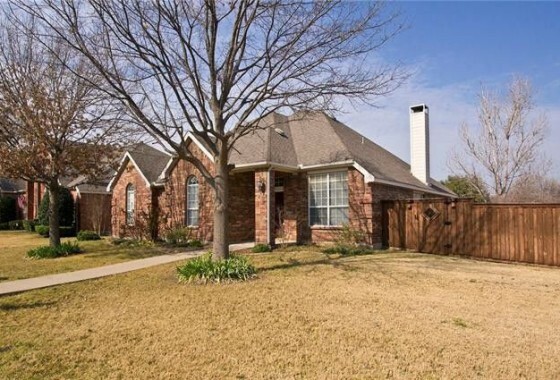 Licensed by the Texas Department of Savings and Mortgage Lending (SML) Mortgage Banker Registration. Service First Mortgage is an Equal Housing Lender. This is not an offer of credit or commitment to lend. Loans are subject to buyer and property qualification. Rates and fees are subject to change without notice. The views expressed on this site are those of the individual author and do not necessarily reflect the positions, strategies or opinions of Service First Mortgage or its affiliates.